When we remodeled our kitchen a few years ago, my only ask was a plumbed-in espresso machine and enough power to make it go (20A, it turns out). That machine, a La Spaziale S1 Vivaldi II has been rocking 4-6 shots a day for years. I made a video of the La Spaziale for kicks one morning and it now has over 11,000 views. Weird. I love coffee and I’m not averse to a remodel to get the brewing setup I want. But over the last few years, it seems to me that coffee cultural fanatics have elevated this simple drink to such a level of arcana and artisanal elitism that one might reasonably assume it is impossible to make a good cup at home without a month of nightly classes at the local barista college. I want to dispel this myth. There are many elements to making a great cup of coffee, but by far the most important are the beans. You want freshly roasted beans, especially for drip coffee. I buy my drip beans from Tonx in LA, and espresso from Wrecking Ball in San Francisco. Many roasters, including the large chains, will over-roast coffee as a means to hide inferior beans. Try to find a local roaster where you can get beans roasted within the last week, or use one of the mail order outfits. Brewing method matters, but not as much as you think. I recently started using a Chemex brewer and like it a lot. 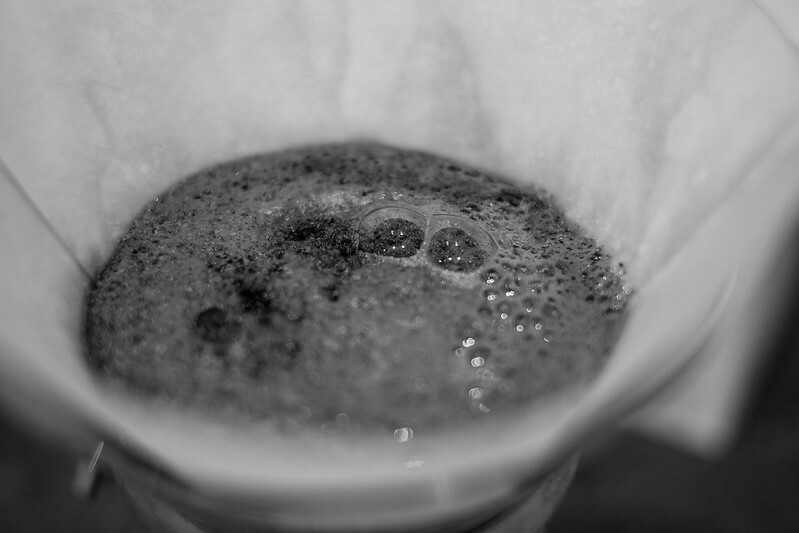 The Chemex is a “pour over” brewer (I’m no artisan but I’m pretty sure “pour over” is the artisanal way to say “drip”). It is also easy to clean, which is welcome news if you’ve been using a French press. With my fresh-roasted Tonxian beans, the Chemex makes superb coffee. There are lots of tutorials on the Internet if you’d like some pointers on the Chemex, but it’s very straightforward, artisans. There are other elements to making great coffee. Water temperature, water chemistry, roast level, grinder, grind, weight, brewing method. For espresso, add preinfusion time, tamping pressure and water pressure. But seriously. With freshly roasted beans and a pour over brewer you’re in great shape. So if you’re interested in making great coffee, but uninterested in the Internet coffee artisan drug culture, here is my advice. Buy a Chemex brewer. Subscribe to Tonx. You’ll get fresh beans in the mail every couple of weeks and make great coffee every day. Update (4/7/14): Tonx has been bought by Blue Bottle Coffee of Oakland. Congrats to Tonx. I’m looking forward to seeing what comes next.